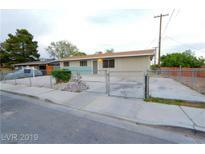 Below you can view all the homes for sale in the Valley View Estates subdivision located in North Las Vegas Nevada. Listings in Valley View Estates are updated daily from data we receive from the Las Vegas multiple listing service. To learn more about any of these homes or to receive custom notifications when a new property is listed for sale in Valley View Estates, give us a call at 702-323-5952. Bathrooms have tiled shower walls and new vanities. Overzised lot with big backyard. MLS#2089871. Realty Executives of SNV. 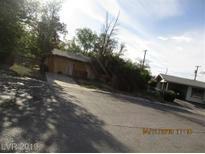 This is a major fixxer upper property*Fire damaged, boarded up single family home*Needs total renovation*No utilities turned on* MLS#2087444. Shamrock Real Estate Svcs. Beautifully renovated home under $200k Spacious layout with upgrades thru out! A must see! MLS#2082292. Platinum R.E. Professionals. Home Is In Great Condition. Under 180k. 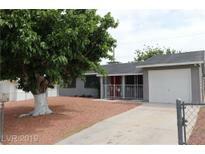 MLS#2077897. Choice One Properties & Manage. Proximity to parks, schools, shopping & more! MLS#2071852. Precision Realty. 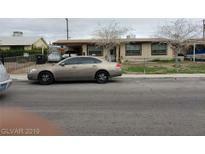 Very unique open and functional home, bedrooms surround the living room, kitchen oversees everything, great for entertaining or just lounging with family, very close to downtown Las Vegas, excellent proximity to freeways. MLS#2065375. Simply Vegas. Don't miss this one! Way Under Market VALUE! ! MLS#2055361. Galindo Group Real Estate. Beautiful Single Story Home With 3 Bedrooms, Additional Casita In The Back, Located Near Shopping, This Property Is A Must See. MLS#2044943. United Realty Group. Large backyard that you can design personally just for you!HOUSE SITTER IN PROPERTY*LEASE BUYOUT-30 DAY MOVE-IN MLS#1992697. Turn Key Property Solutions.